Attorney Michael Applebaum has been practicing law for over 40 years and has been involved in many nationally publicized high profile cases. “Mickey” has been featured on Dateline NBC, True Crimes, the Philadelphia Inquirer and the Courier Times and is highly respected in the legal community, with a reputation for aggressive and successful advocacy on behalf of individuals facing a wide range of legal needs. Mickey came to us in need of guidance and independence from the army of sales people who managed his marketing efforts for years. Mickey’s main goals were to get independent marketing advice, figure out which marketing efforts were worth the investment, consolidate his multiple websites to improve search visibility, and ultimately cut his bloated marketing costs wherever necessary. After a full marketing audit, we started by centralizing all of Mickey’s existing marketing reports to better understand what’s working and what isn’t. Following the audit, we realized Mickey was marketing multiple websites/domains and running two similar, but independent Adwords campaigns potentially hurting himself and costing himself more money. We consolidated his efforts and claimed Mickey’s Google listings and optimized the local office directories. 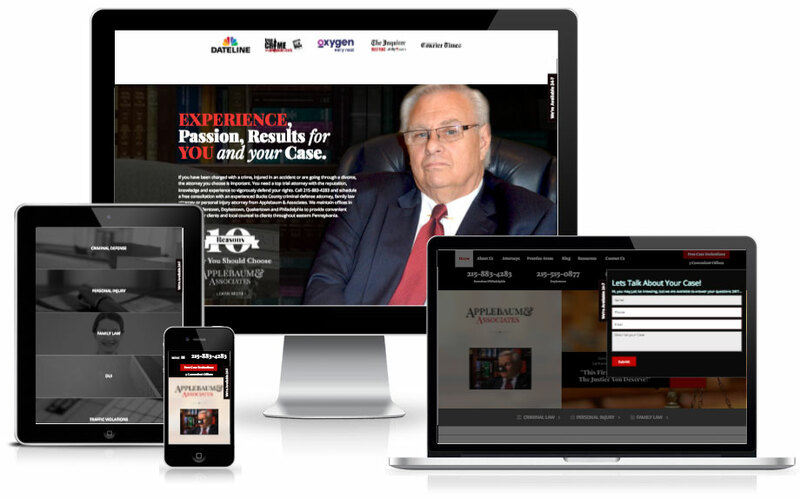 Lastly, we launched a completely custom website designed to increase his exposure in the search engines and ultimately ended Mickey’s reliance on his previous law firm marketing company and their costly expenses. Since the start of our services The Law Firm of Applebaum and Associates has lowered its marketing investment while maintaining a healthy and steady growth in obtaining new clients and cases through the right mix of performing marketing campaigns and search engine exposures. 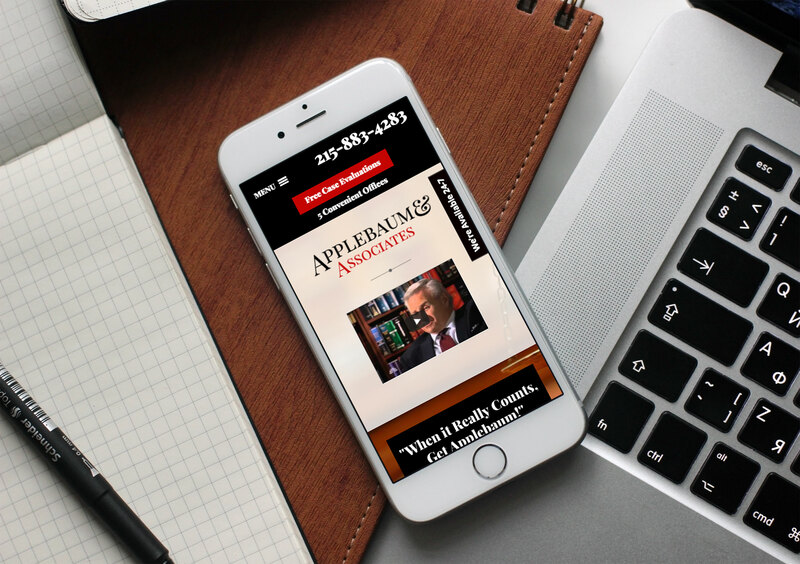 Through our guidance, transparency and tracking the Law Firm of Applebaum and Associates is able to make the right marketing decisions and rely on a trusted, third party partner for ongoing implementation and consultation. We continue to generate and maintain hundreds of quality web leads and maintain 100+ 1st page keyword rankings in the Law Firm’s targeted market and services.